Upgrades in PinoyMountaineer abound especially when it rains and I’m forced to do mountaineering work at home. Surprisingly, however, weather was good last weekend and I’ve heard of groups having sunny and fair weather climbs all over. Hopefully there’ll be a grace period before June. PAGASA today forecasted the arrival of two typhoons next month; but there’s always an opening somewhere. If you’ve noticed, there is now an interactive Philippine map on the right upper corner that links to different regions and lists the prominent mountains in that particular region. With this new interface, getting to the different hiking destinations is more convenient; at the same time we will be more acquianted, visually, with the locations of these mountains with respect to the Philippine map. The nine regions do not strictly follow the political regions of the Philippines; Ilocos region is merged with the Cordilleras since it has only a few mountains and these are contiguous with the Corillera range anyway; Aurora, which belongs to the political ‘Region III’ or Central Luzon, is joined with Cagayan Valley since the mountains of Aurora and ISabela are continuous, under the Sierra Madre. The rest of the Luzon regions match; Visayas counts as one and Mindanao is divided into North and South. The creation of separate blog entries per region also enables us to put up a ‘coverage updates’ section which details what has been accomplished as far as that region is concerned; mountains not yet featured in the site are also listed in each regional mountain list to show what’s missing. 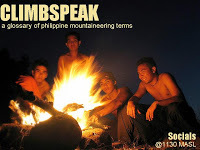 A new project in PinoyMountaineer is ‘Climbspeak‘, an ‘informal glossary’ of mountaineering terms. By informal, I mean anything goes; contributions can be petty or technical; hilarious or serious; — as long as it is used by mountaineers among each other. 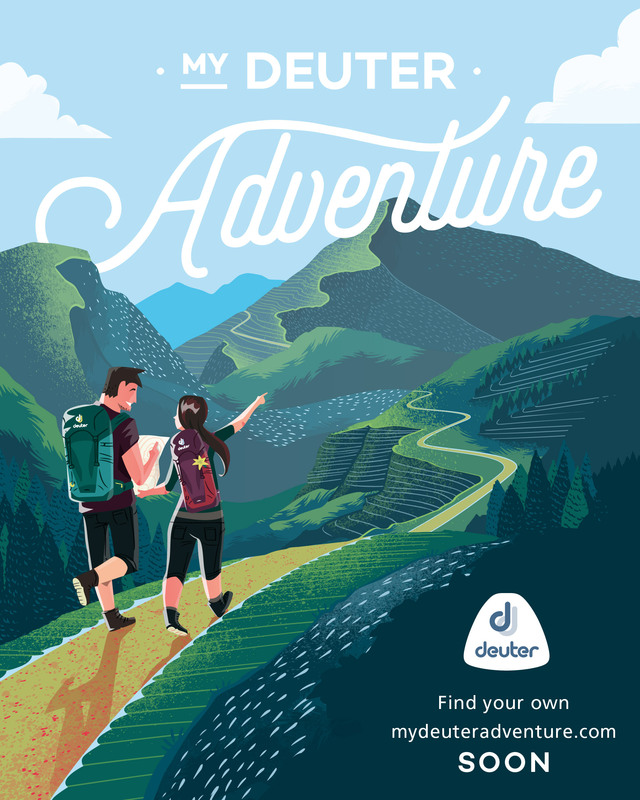 Those new to hiking, as well as foreigners, will also find it helpful. Many a friend I’ve brought up the mountains have found amusement in the “Mam/Sir” titles hikers address each other with; and the inevitable “How do you do it when you’re up there? will be hinted at in some of the terms as well. We have three mountains this week: Cleopatra’s Needle in Palawan, Mts. Buntis and Nagpatong in Cavite, as well as Mt. Natib in Bataan. Information for these mountains were provided by fellow mountaineers, and we it owe it to them for keeping the blog running. These additions raise the current number of mountain destinations to 69. 1 Comment on "Hiking matters #11: Under construction"
Ey Gid, sorry, pwede ba mag-plug? Please visit the annual photo exhibit of our club climbs, ongoing until the weekend at the Makati Glorietta 4 cinema lobby. You are all invited as well to attend, free of charge — lalo na yung mga newbies aspiring to climb their first mountain — the orientation night of our annual BMC training programme at the basement auditorium of Banco de Oro tower (formerly Equitable-PCIBank) at Makati Ave. cor HV de la Costa at 6:30pm on June 11, Wednesday.